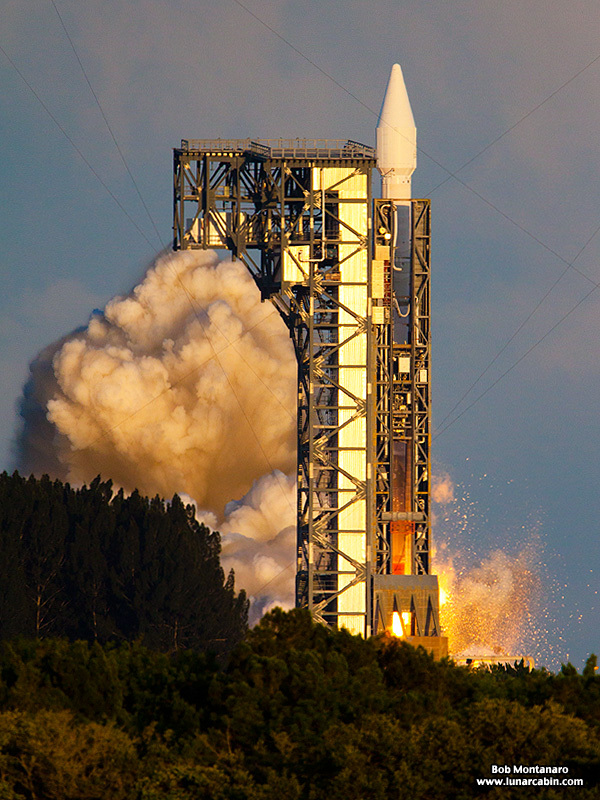 A United Launch Alliance Atlas V 411 configuration rocket launched the Origins, Spectral Interpretation, Resource Identification, Security-Regolith Explorer (OSIRIS-REx) mission for NASA at 7:05 p.m. on 8 September 2016 from Space Launch Complex (SLC)-41 at Cape Canaveral Air Force Station, Florida. 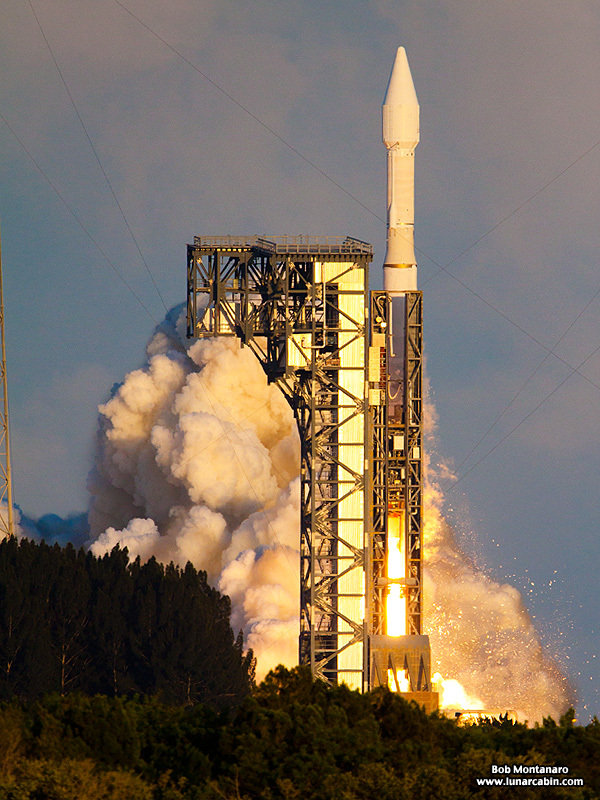 A United Launch Alliance (ULA) Atlas V 411 rocket will inject the OSIRIS-REx spacecraft into a hyperbolic trajectory away from Earth where it will begin a seven-year mission to return an asteroid sample. 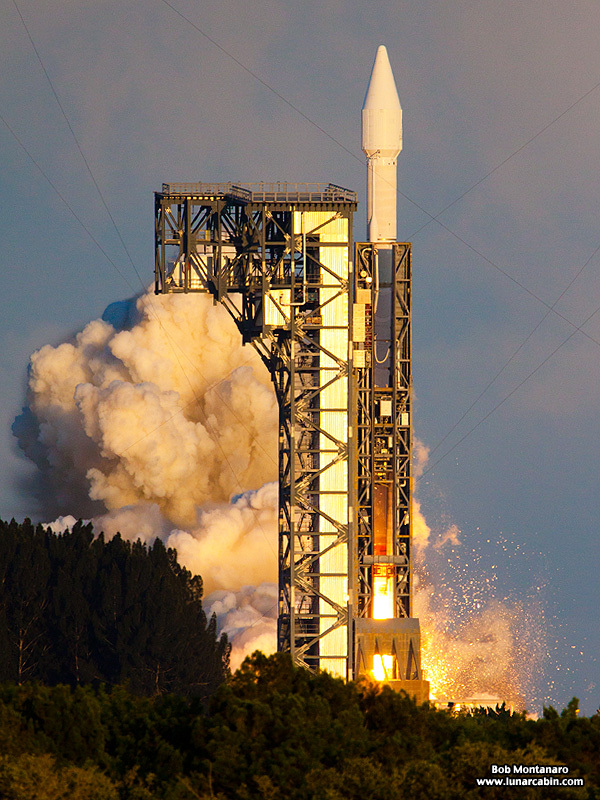 The OSIRIS-REx mission will help scientists investigate the origins of our solar system, how water and organic material traveled to Earth, and increase understanding of asteroids that could impact Earth. In addition, the sample returned to Earth will further our understanding of water, organics and precious metals on asteroids, which could fuel future exploration missions. Following separation, the OSIRIS-REx spacecraft will make precise maneuvers to modify its orbit around the sun to rendezvous, two years later, with the asteroid Bennu. Bennu, classified as a near-Earth asteroid, is roughly 0.3 miles in diameter and has an estimated mass of more than 65 million tons. After arriving at Bennu, OSIRIS-REx will spend roughly two years scanning the chemical and physical properties of the asteroid. Laser ranging and optical instruments will map the surface to select its sample collection site. In 2020, OSIRIS-REx will approach Bennu and lightly touch the surface of the asteroid with a special boom-mounted instrument designed to collect material, or regolith, from the surface. 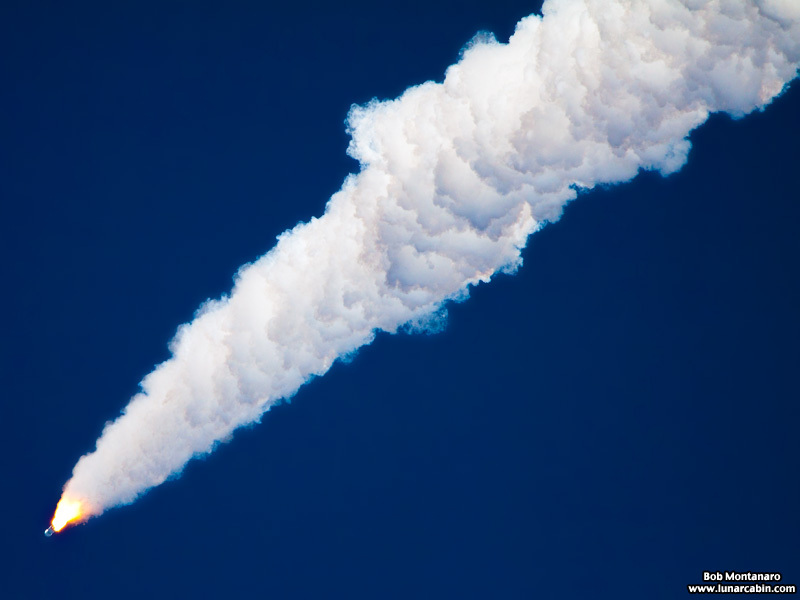 The asteroid regolith will be stored in a sample return capsule for the two-year journey back to Earth, which will begin in 2021. 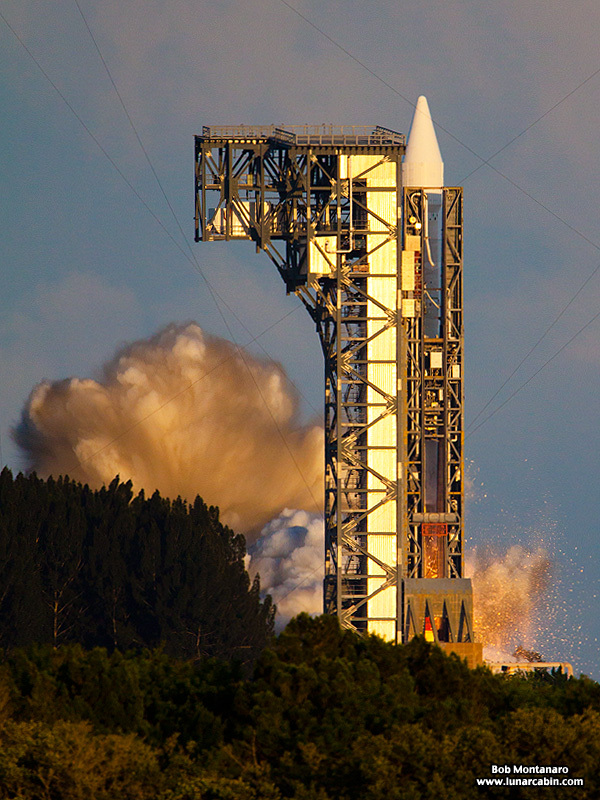 As it approaches Earth, the spacecraft sample return capsule will separate from the main spacecraft and make a fiery plunge back to Earth for analysis, helping unlock the mysteries of our solar system’s formation. 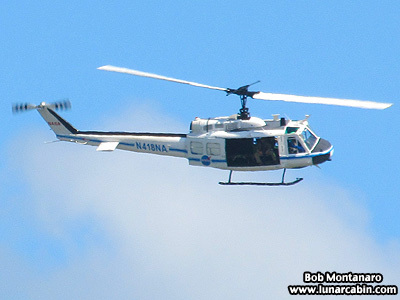 Guests waiting for the bus out to the launch viewing area saw a NASA helicopter buzz the Kennedy Space Center Visitor Complex several times. 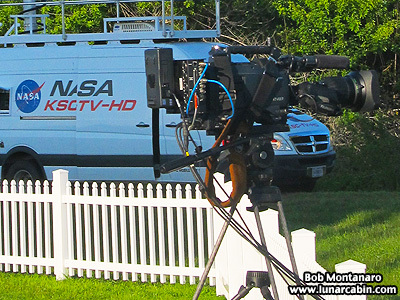 NASA Television set up at the launch viewing area. 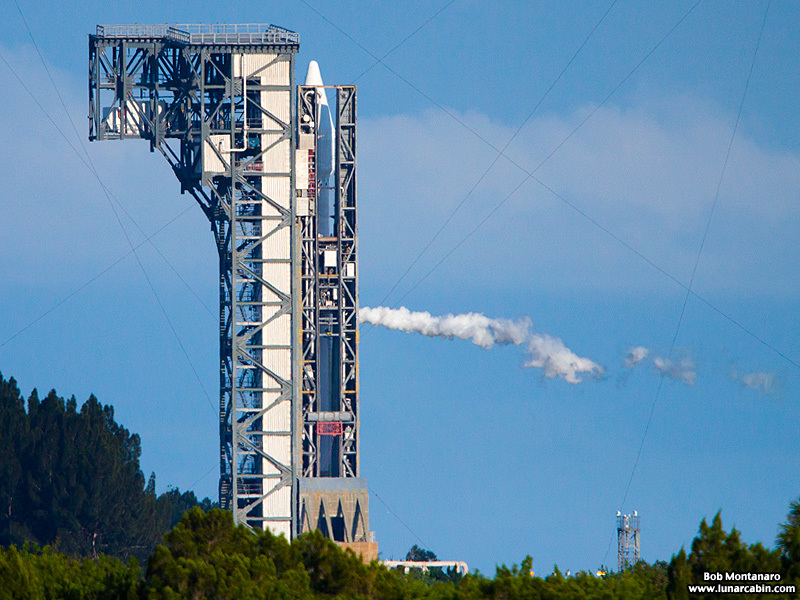 At left the upside-down L-shaped gantry at Space Launch Complex 41 hides the Atlas V rocket on the other side of it. The launch pad is surrounded by four towers used for lightning protection. 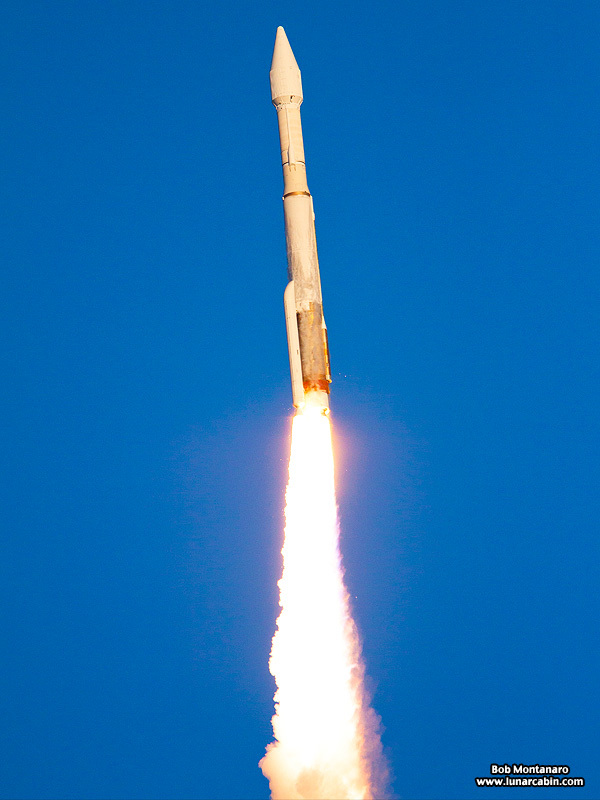 The Atlas V rocket was stacked in the Vertical Integration Facility (VIF) at right and hauled vertically by rail to the launch pad. 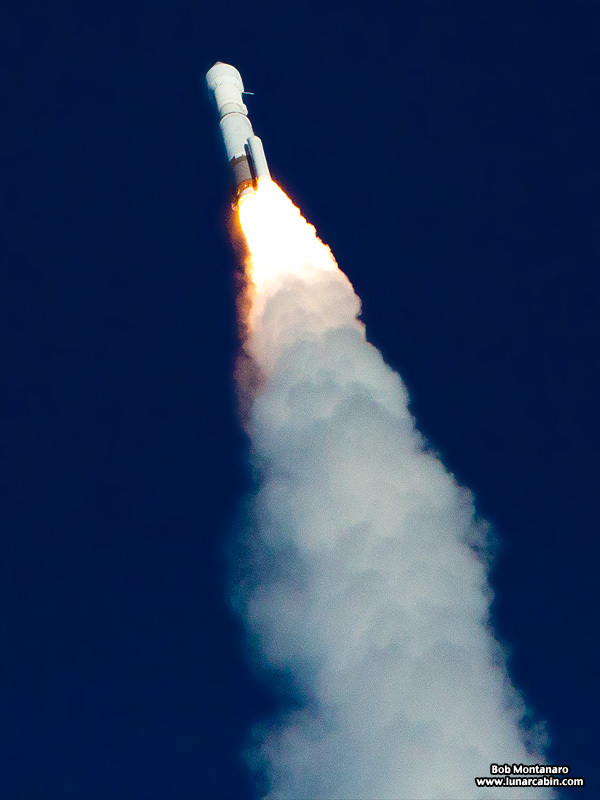 Vapor from the loading of liquid oxygen into the first and second stages of the Atlas V drifts away from the launch pad. 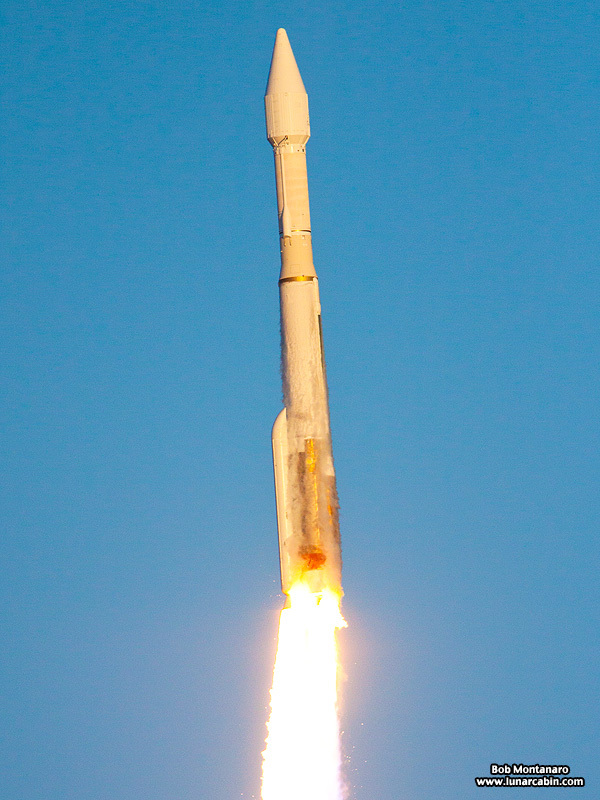 The rocket stands about 189 feet tall. The first stage is 12.5 feet in diameter and 106.5 in length containing two tanks. 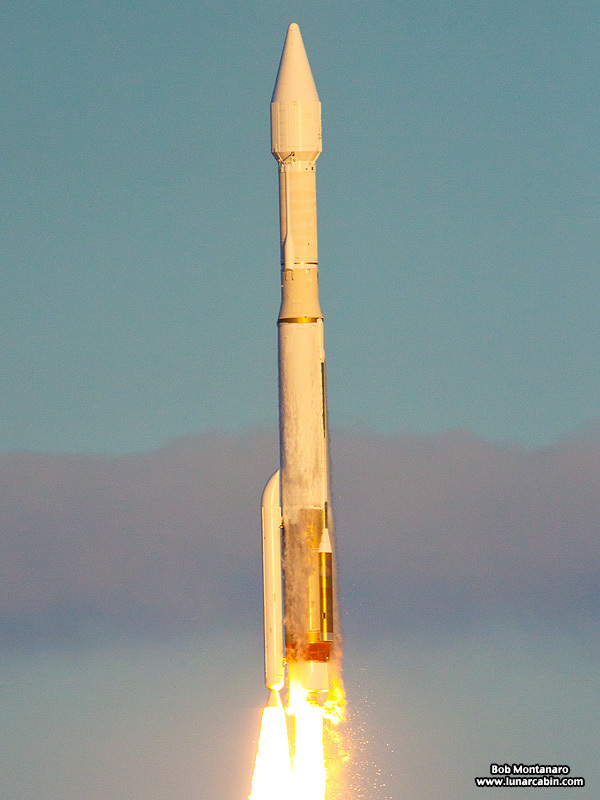 One holds the RP-1 (Rocket Propellant-1), a form of highly purified kerosene, while the other tank is loaded with liquid oxygen used as an oxidizer for the RP-1. 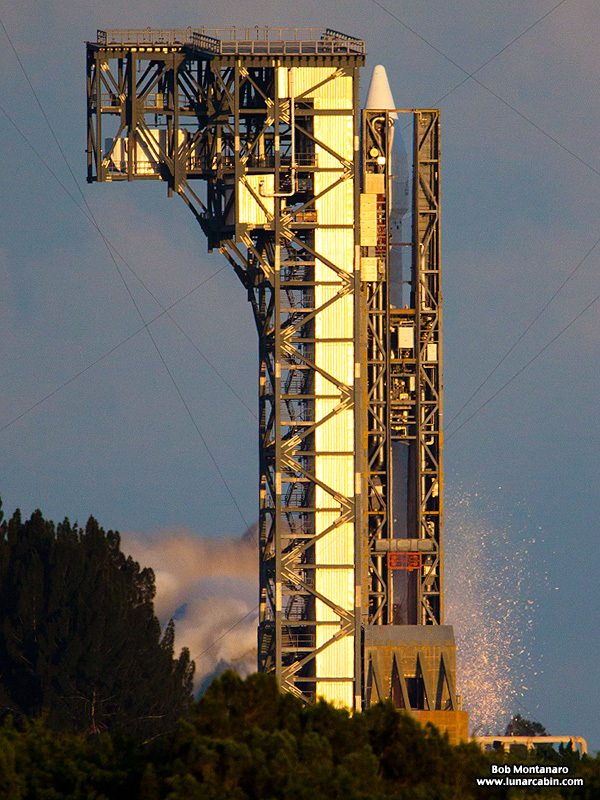 The RD-180 engine on the first stage produces 860,200 pounds of thrust at sea level. 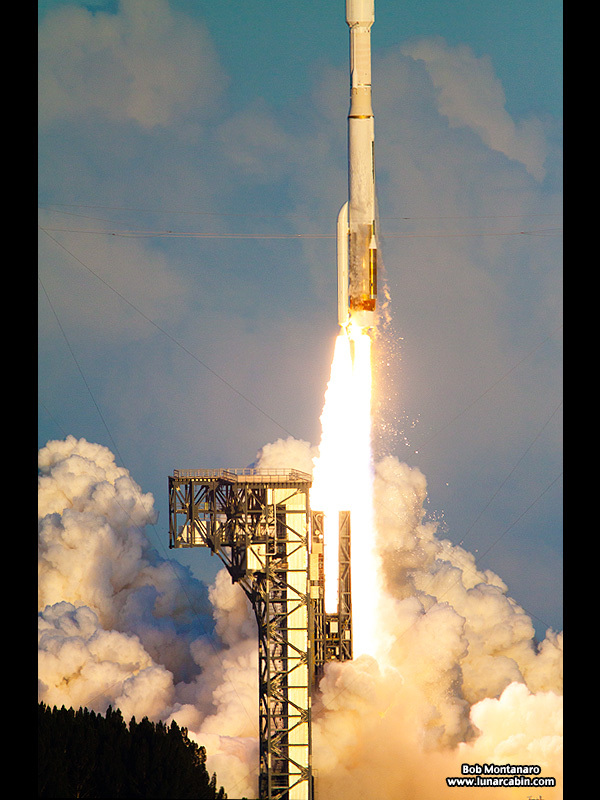 The first stage is also equipped with one solid rocket booster to provide an additional 348,500 pounds of thrust at liftoff. The smaller second stage is 10 feet in diameter and 41.5 feet long holding two tanks of liquid oxygen and liquid hydrogen respectively for the single RL-10-A-4-2 engine producing 22,330 pounds of thrust. 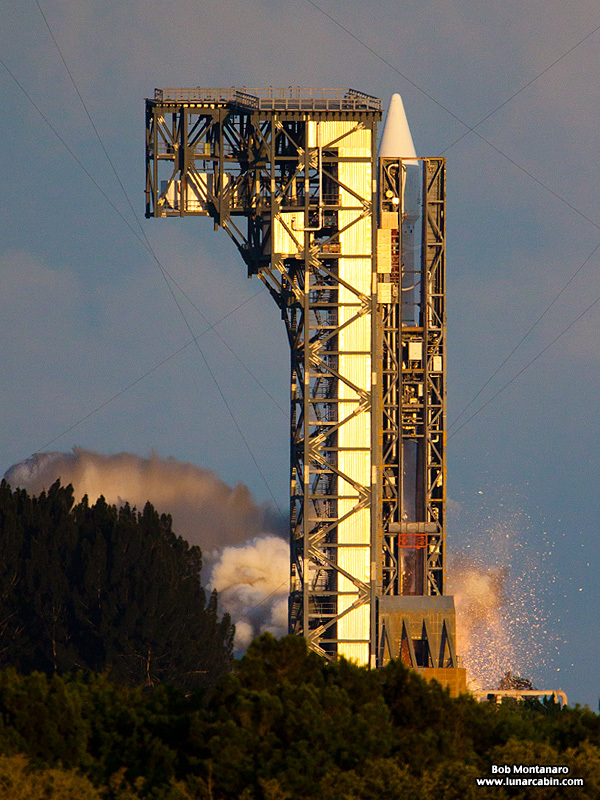 Launch occurred just prior to sunset, which cast a golden glow over the proceedings. 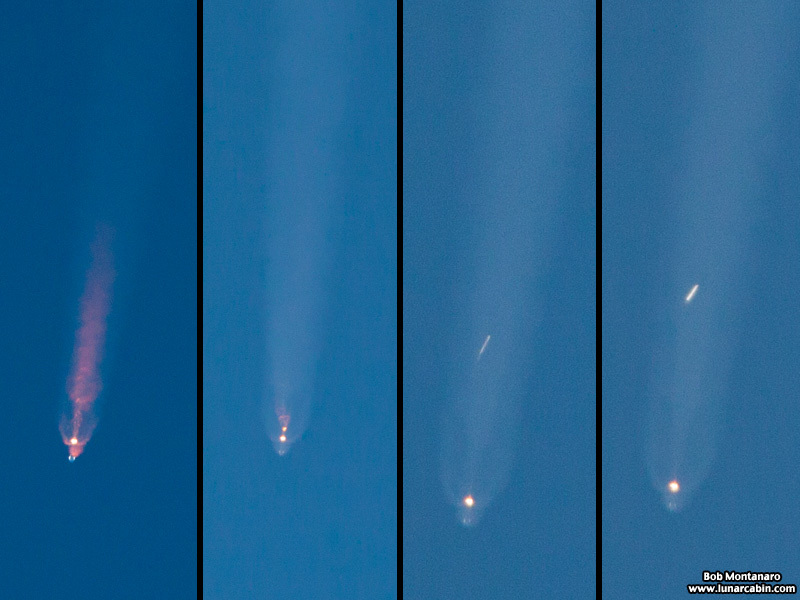 The thrust imbalance caused by the single solid rocket booster caused the rocket to appear bent over in relation to its exhaust plume. 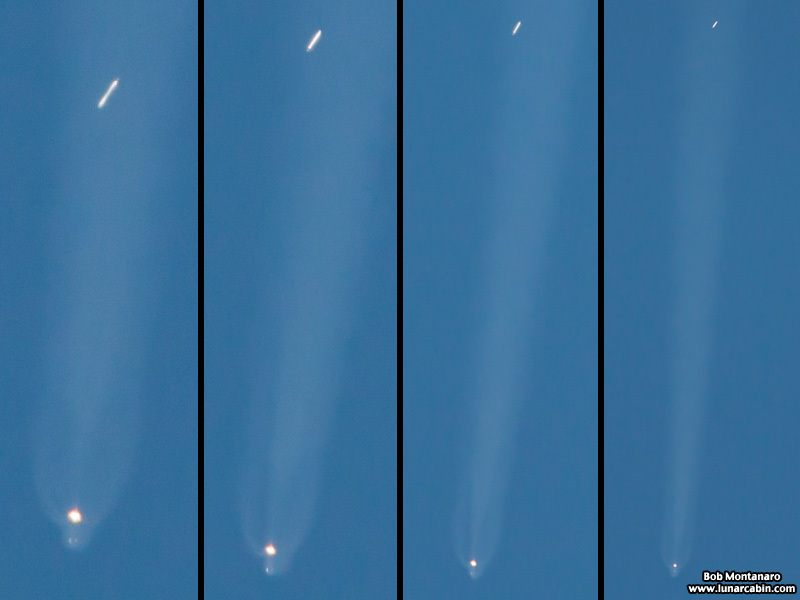 Burnout and jettison of the single solid rocket booster seen to be falling farther and farther behind the rocket in the images above and below. 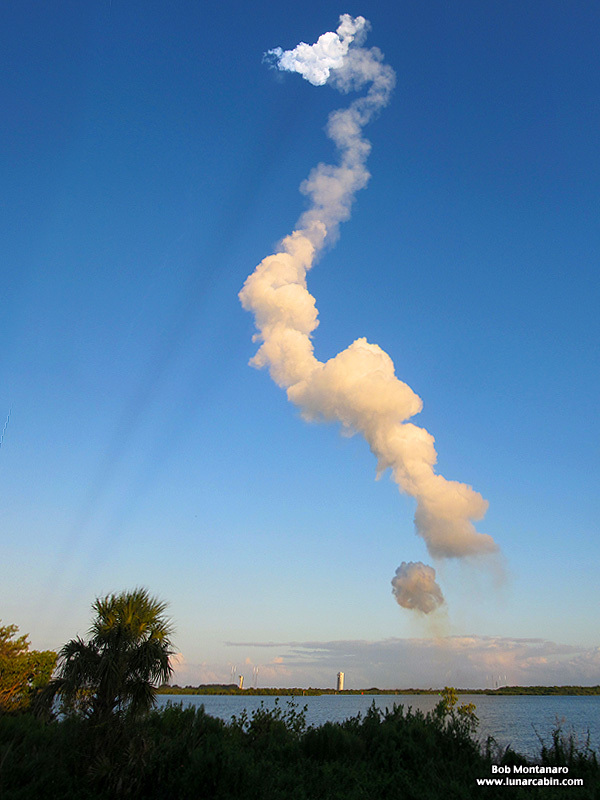 A vertical panorama of the exhaust cloud twisting slowly in the wind. Note the long, subtle shadows from the cloud disappearing downward to the left. Part of the reality of a rocket launch is to expect to spend a lot of time in traffic, especially for major NASA launches like this one. 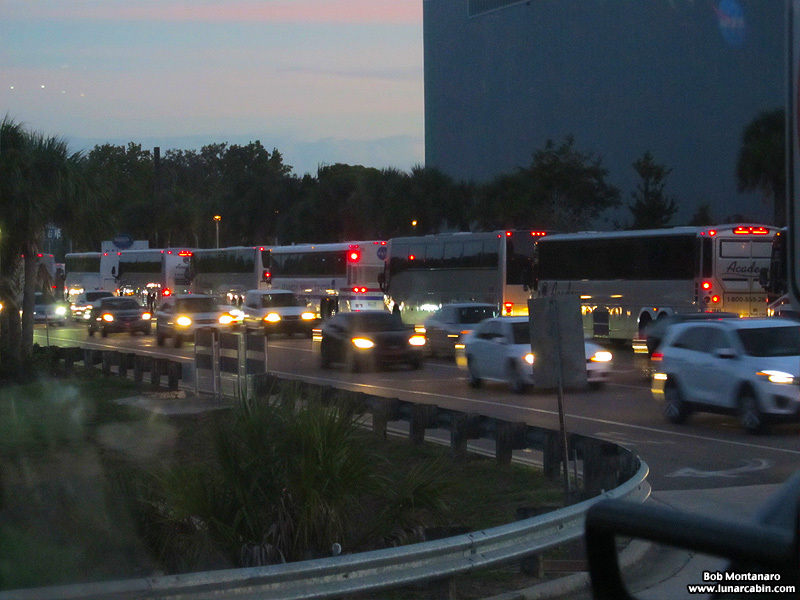 Here busses stack up with launch guests waiting to unload back at the Kennedy Space Center Visitor Complex while bumper-to-bumper traffic exits the Complex. 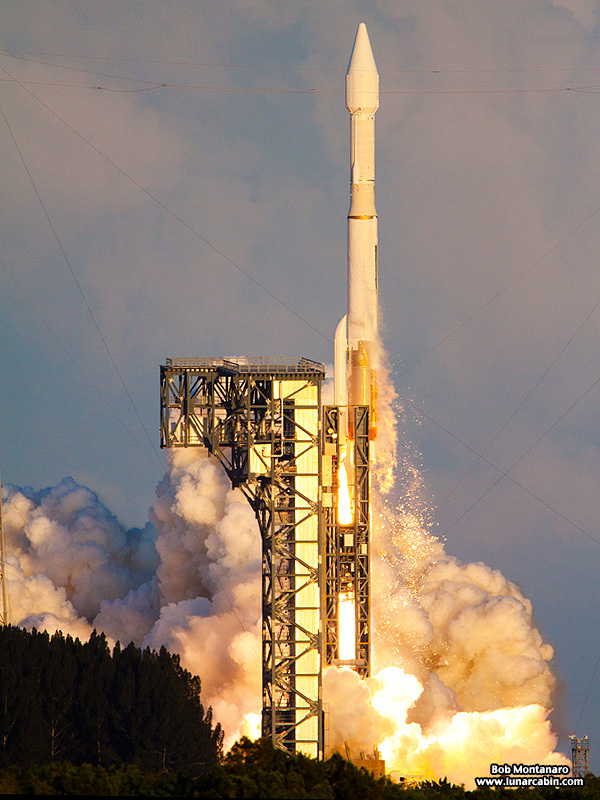 Despite what appears to be a lot of congestion, everything went smoothly with minimal delay due to the experience gained from moving large numbers of people attending numerous launches over the years.